One day in January, 2007, I stood in the pulpit of a Glasgow crematorium, reading the eulogy at my mother's funeral. The eulogy was actually written by my sister, Alison, but she didn't want to deliver it. Nor did either of my brothers, David and John. As a university professor I had no fear of public speaking, so I volunteered (or was volunteered) to eulogize. When I finished speaking, the funeral director pressed a button and Mum's coffin disappeared through the curtain. While solemn music played, her body was incinerated. The remainder, the calcium-phosphate mineral crystals of her bones and teeth — because, unlike many Scots of her generation, she still had her own teeth — was fused into a kind of ceramic powder by the heat of the furnace. Mum wanted her ashes to join those of her husband, my father, who had died eight years earlier. Dad's "cremains" were cast into the sea off Largs, a town on the Firth of Clyde where he had spent holidays as a child. 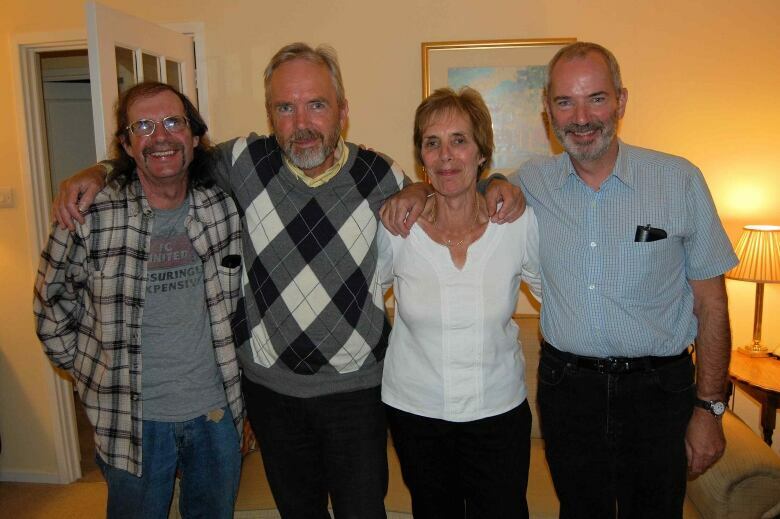 It was now the sacred duty of David, Alison, John and me to honour our mother's dying wish. What seemed a simple task turned out to be anything but. Instead of making the forty-minute drive from Glasgow to Largs, Mum's ashes went on a kind of farewell tour of the U.K. John picked up the urn from the crematorium and took it back to Edinburgh with him. Alison got the urn from John, and took it to her home in Ellon, in the northeast of Scotland. She then gave it to David, who lives in Manchester. By the end of this game of Pass the Parcel, the ashes had done more travelling than the relics of a medieval saint, and were now further away than ever from their intended resting place. 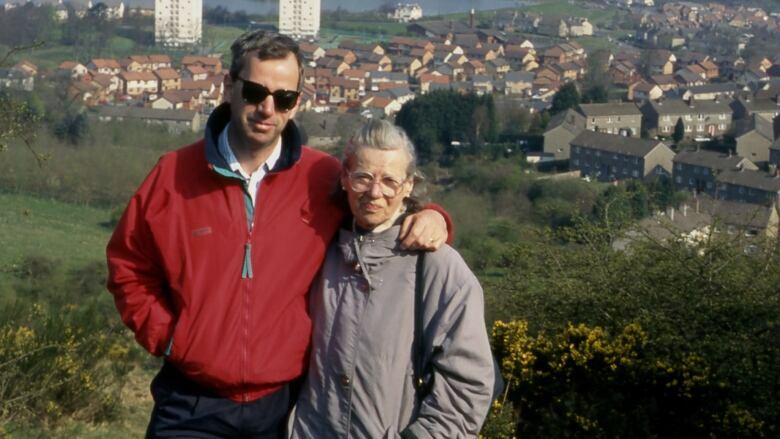 Two-and-a-half years had elapsed since Mum's funeral when I decided to make a trip to Ellon. Alison had celebrated a significant birthday the previous year, and asked all her brothers to attend the party. I had to cancel at short notice when the airline I was booked on suddenly went bankrupt, so I felt that I owed her a visit. When I phoned Alison to tell her about my plan, she was very pleased, and told me that she would ask John and David to come too. She also said: "While you're over here, can you scatter Mum's ashes?" I didn't feel that I was in a strong position to say no. Because I live so far away, I had a free pass during the various health crises of Mum's last years. When she fell off a curb, fell off the front step of her house, fell down the stairs of the house or, as a grand finale, fell down the steps of the Kelvingrove Art Gallery, it was my siblings, not me, who had to scramble. So when Alison asked me, "While you're over here, can you scatter Mum's ashes?" I said yes. I flew into Glasgow, picked up a rental car and drove to Ellon, picking John up in Edinburgh en route. David was already at Alison's house, with the much-travelled urn. That evening, the four of us went out for dinner. It had been a long time since my siblings and I were together except to attend a funeral, so it was nice to meet up under happier circumstances. Two days later, I set off on my mission of mercy, accompanied by David, who had volunteered to come with me. The idea was that we would make a road trip of it, spending a few days exploring the west coast of Scotland before ending up in Largs. We drove across the Cairngorms to Fort William, then down the coast to Oban. From Oban we drove to Largs. The rain pelted down. We reached the Firth of Clyde at Kilcreggan and took the car ferry over to Gourock. From there it was only a short drive down the coast. Larg's promenade seemed to offer us easiest access to the shore, so we parked as close as we could and put on our anoraks. The rain was heavier than ever, propelled by gale-force winds. We hoped that we could lean over the promenade's railing and pour the ashes into the water, but unfortunately the tide was out, and an expanse of seaweed-covered rocks separated us from the waterline. So we hopped over the fence, David holding the urn, me trying to keep my camera dry, and clambered over the rocks. At the water's edge, David emptied the urn's contents into the surf as I clicked a few pictures to prove that we had, in fact, discharged our final filial responsibility. I'd like to say that we stood for a few minutes with heads bowed, remembering our dead mother and saying a last farewell. But we didn't. We sprinted back to the car before we got completely soaked. My mother had a hard life. 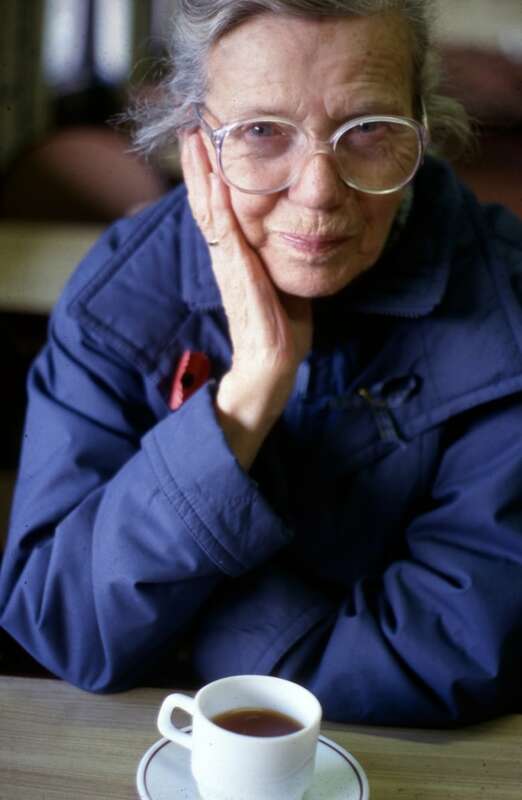 She was born out of wedlock, left school at 14 to become a domestic servant, and worked in a munitions factory during the Second World War. But she married a good man, raised four children and had a fulfilling career as a teacher. I can't visit my parents' graves, but they do have a final resting place. One day I will go back to Largs, lean on the railing of the promenade and look out to sea, remembering my mum and dad, reunited after death in the cold waters of the Firth of Clyde.